You don’t have to imagine the roar of cannons, the crackle of musketry, the clash of armour, the thunder of horses hooves and the beating of drums. You can see and hear the drama of a civil war battle being recreated by members of The English Civil War Society. 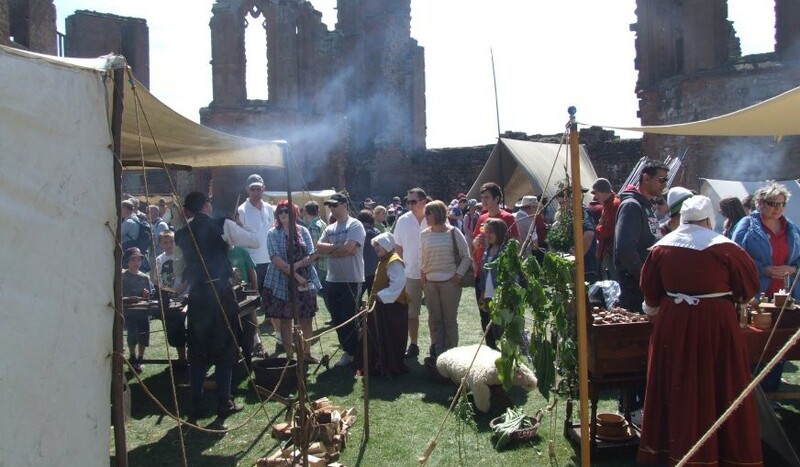 Smell the gunpowder during the battle, or the woodsmoke from the soldiers’ campfires and the aromas of food being cooked in seventeenth century fashion. Feel the weight of muskets and armour, see craftsmen at work using the tools and techniques of the seventeenth century. Discover the social divide between the finely dressed officers and gentry and the soldiers and tradesmen beneath them. Visitors demand more from their leisure activities today, and exploring the past is ever more popular. With the help of The English Civil War Society you can bring your venue alive with the sights, sounds, smells and feel of the seventeenth century, offering a memorable experience to visitors of all ages. We can offer a range of events to suit your budget and venue. You can read about the types of events we usually stage please visit the What We Do page. You can easily enquire, without commitment, about staging an event with The English Civil War Society. Please email events@ecws.org.uk, including a brief outline of your proposals, the intended size of the event (visitor numbers and space available), its location and probable date(s).